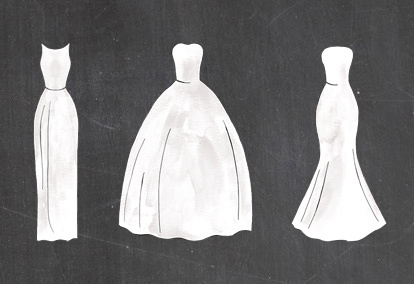 As you start your wedding or bridesmaid dress search, keep these fabric facts in mind. 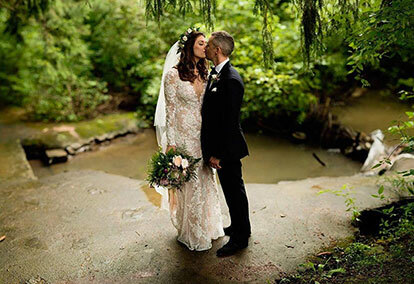 Lace is a sheer, delicate, open-weave fabric with a pattern, often floral or scalloped. 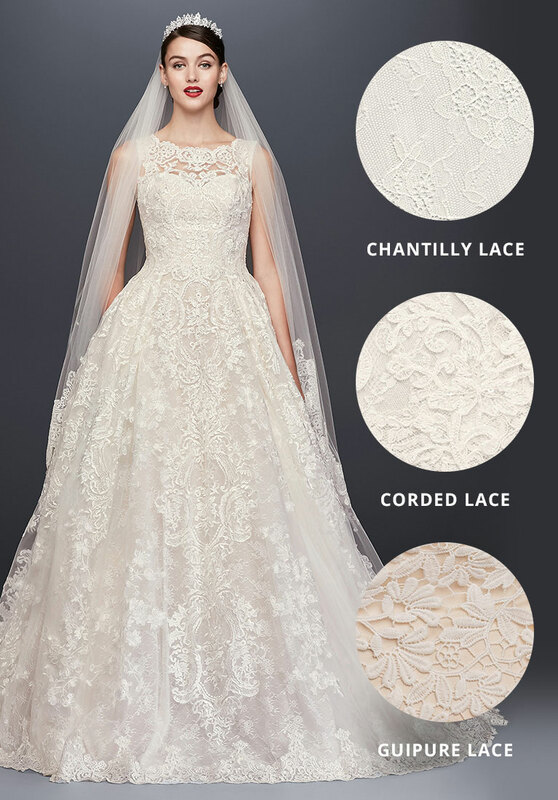 Types of lace include Chantilly, corded, guipure, and crochet. 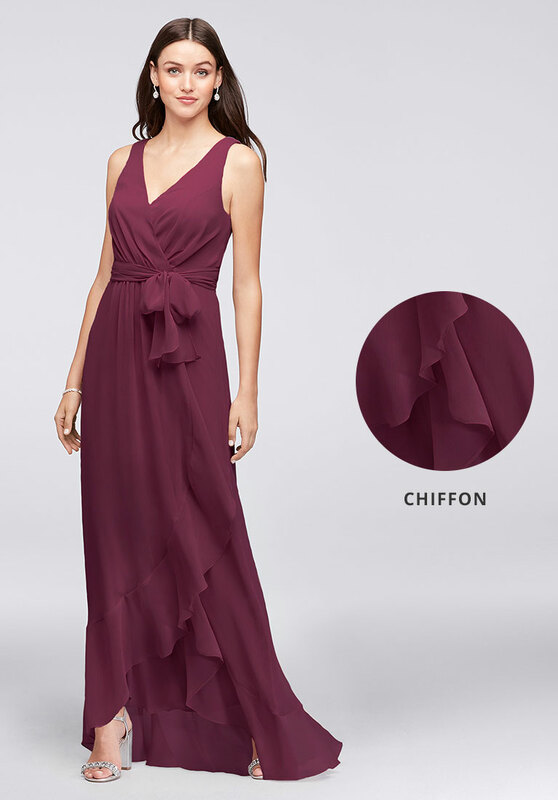 Chiffon is a flowing, sheer fabric with a plain weave. 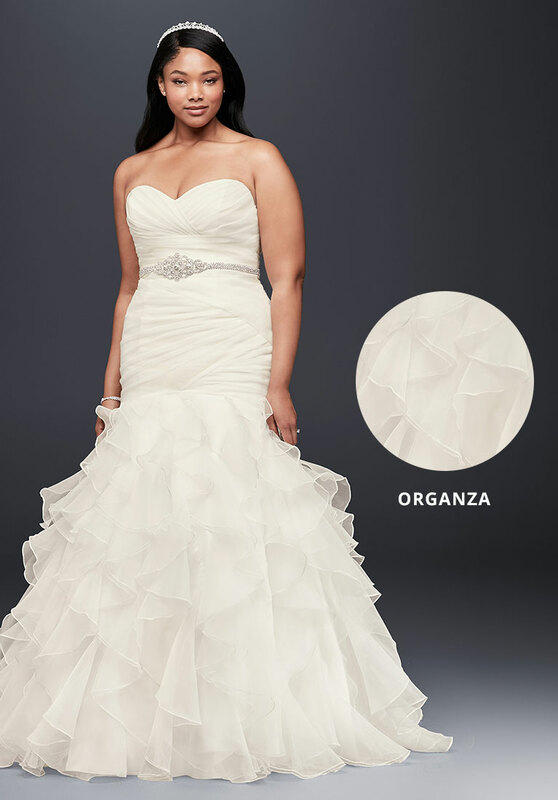 Organza is a gauzy fabric as sheer as chiffon but much stiffer. 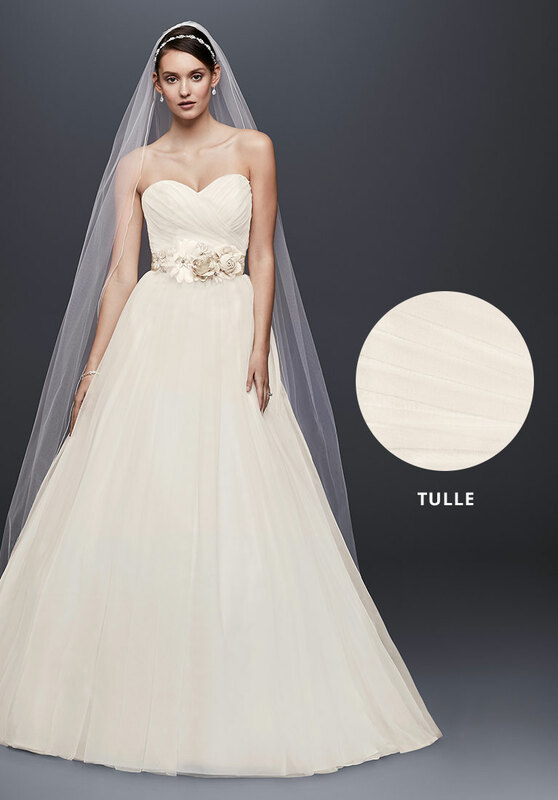 Tulle, aka netting, is a sheer yet relatively stiff fabric often layered as a skirt. 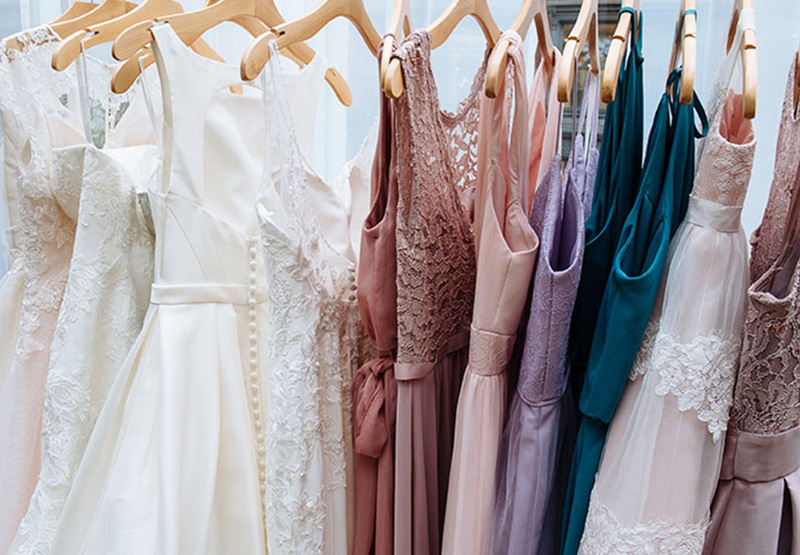 Satin is a weave of fabric with a lustrous surface. 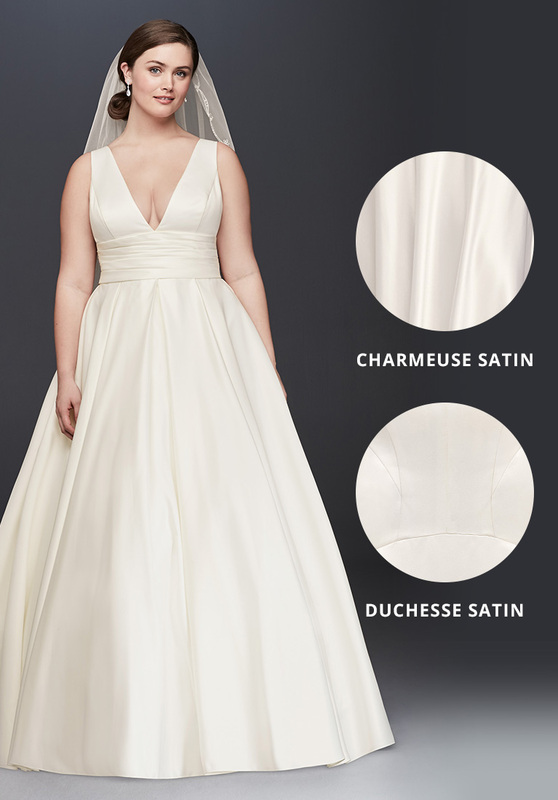 Types of satin include drapey charmeuse and stiffer duchesse. 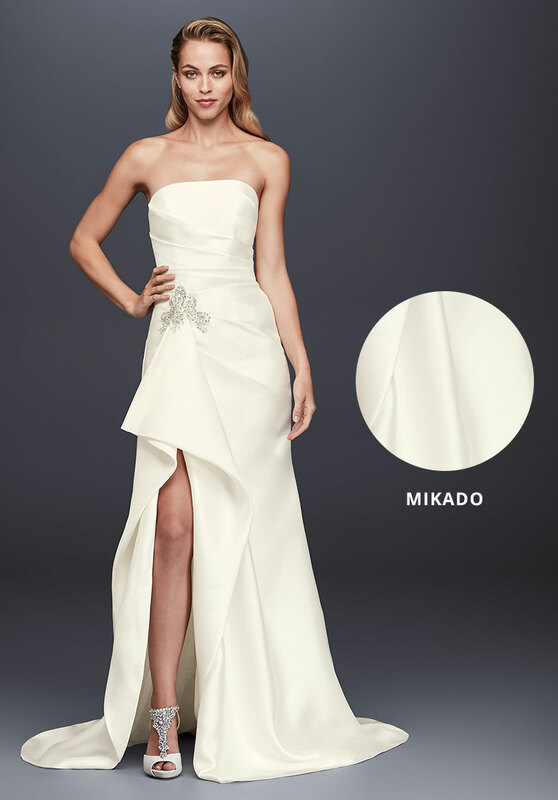 Mikado is a textured fabric with a slight sheet. 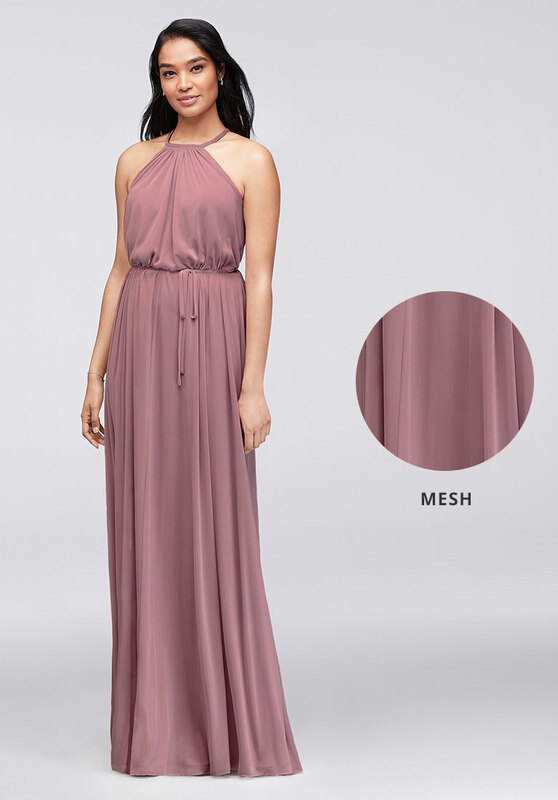 Mesh is an airy, loosely knit open-weave fabric with a bit of stretch. 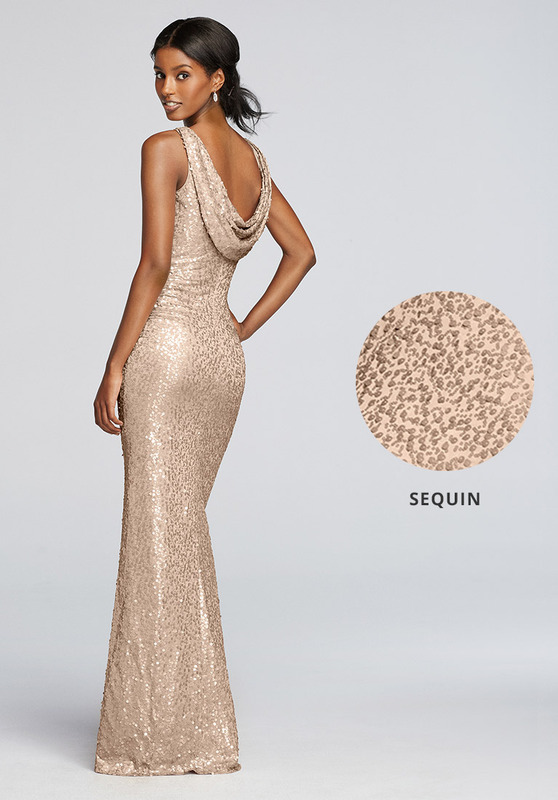 Sequins are decorative discs applied to fabric for sparkle and texture. 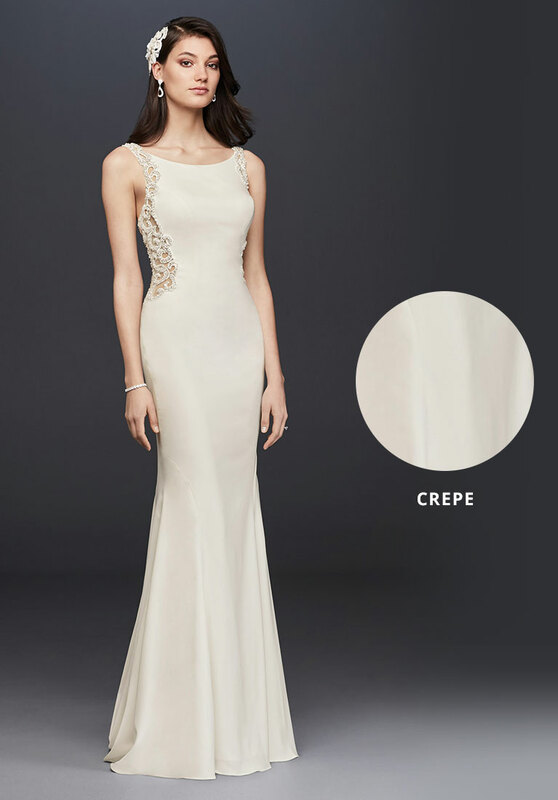 Crepe is a crisp, eggshell-textured fabric that drapes nicely. 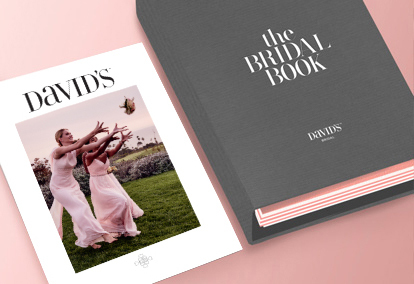 for DIY projects and dress alterations.